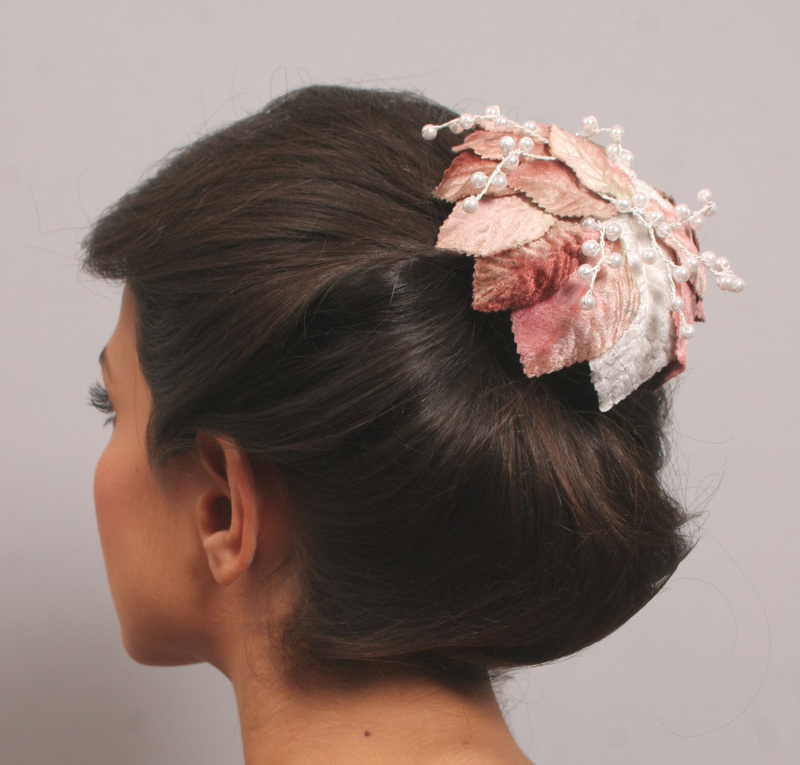 This fantasy mini-hat is a truly distinctive piece designed to set you apart on your big day. It’s perfectly romantic – all delights are possible when this is fastened into your hair as the finishing touch to your bridal outfit. The piece consists of a fascinator base attached to a wire comb. 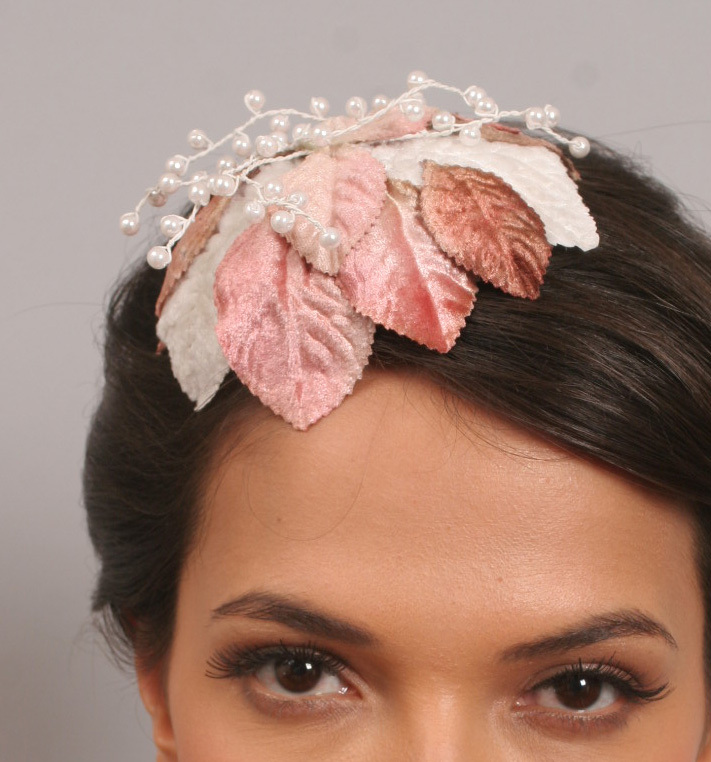 The base has beautiful millinery leaves in dusty hues of pink, beige and white, hand-stitched into an overlapping pattern. White stamens of lustrous pearls further accent the design. The best ways to wear the piece are pictured, either as a cover to a hair bun or as a 1940s style mini-hat worn to the side and front of the face. The piece measures 11 cm across and is 4.5 cm high. The wire comb measures 5.5 x 3.5 cm.